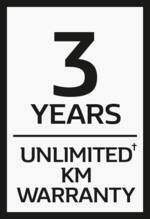 3 years unlimited km warranty† & 24/7 roadside assist? The seats are arranged in a 3/2/3/4 configuration that maximises cabin space and accessibility. Not to mention the class leading standing room height of up to 1.88m. Premium options including carpet flooring, LED strip lighting and privacy curtains make for a truly up-market environment. Cruise control works to minimise driver fatigue, while the integrated speed limiter helps keep you safely within speed limits. Master Bus comes with a centre passenger bench seat that folds down to become a handy work table. Plenty of internal storage areas provide flexibility in the space upfront. Immerse yourself in your favourite music or keep connected on the go with the 2x15W CD Radio with Bluetooth® phone pairing, USB, AUX connectivity and steering wheel mounted controls. The turbo diesel engine delivers 110kW peak power and 350Nm of torque from just 1500rpm's. It is also extremely efficient, with a number of innovative engine design features that keep fuel consumption and emissions to a minimum, and running costs down. Twelve seats, easy drivability and low operating costs makes Master Bus the stand out choice in the small bus market. Stable and predictable handling backed up by Electronic Stability Control, powerful anti-lock brakes (ABS), reverse camera and parking sensors keep your passengers and your investment safe. All passenger seats come with integrated head rests and 3-point seat belts. Aisle seats are equipped with adjustable armrests and two positions are fitted with Australian Standards compliant Child Restraint anchorage points. Helps keep you in control on rough or slippery surfaces by sensing loss of traction and selectively applying the brakes. With approximately 3.5 cubic meters of internal storage and nearly 1.3 tonnes of payload there's no need for a trailer in most cases. 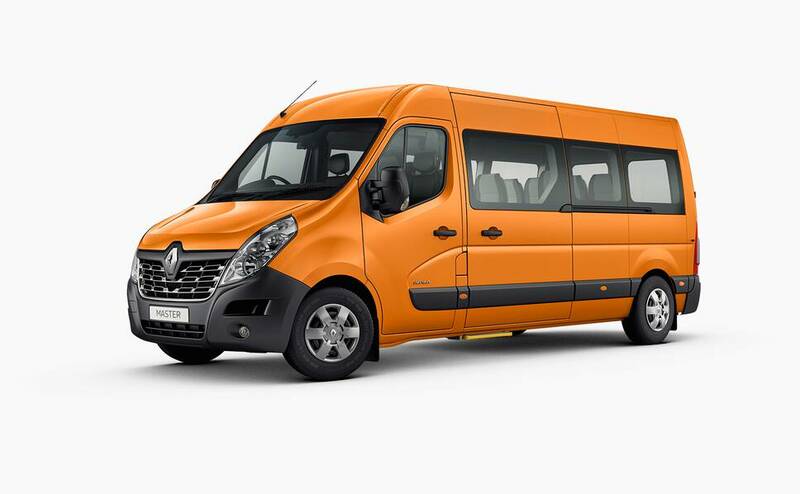 All controls are within easy reach of the driver, including the heating, lighting and optional electric door switches. 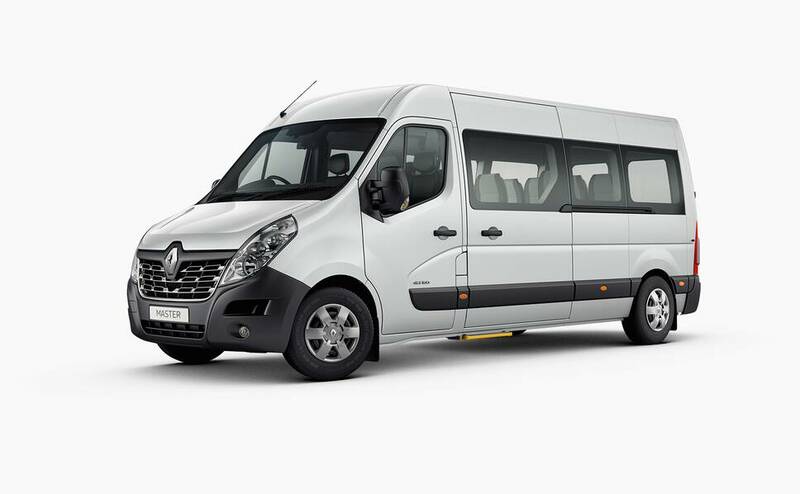 Standard equipment includes a powerful and efficient air conditioning and heating system that will keep your passengers comfortable whatever the conditions outside. Enjoy car like comfort and cabin ambience thanks to low noise levels, a thoughtfully laid out cockpit and large glass areas for excellent visibility. There's even an optional Isringhausen® drivers suspension seat for long distance operators. Whether it's business or leisure, optional dual-USB charge points keep phones, tablets or laptops charging on the move. The front suspension is well sorted - it rolls over bumps nicely, even sharp ones, and the steering is excellent, making it feel a lot smaller than the size of the vehicle. The commanding high driving position plus the excellent vision give you a good view all round. The six speed automated manual is smooth and gives a good range of gears.